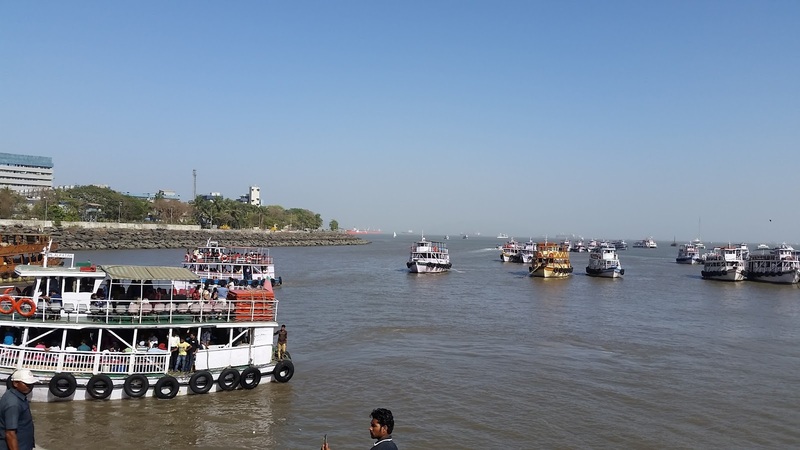 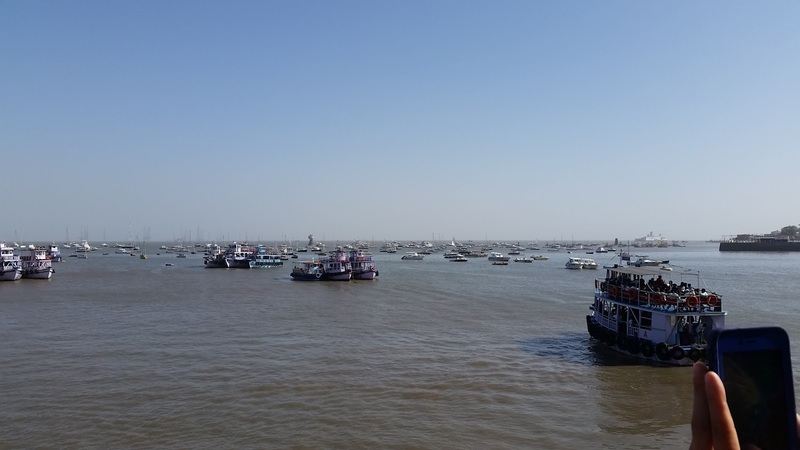 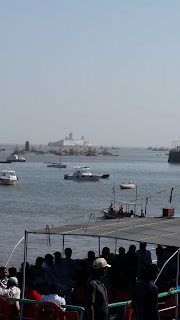 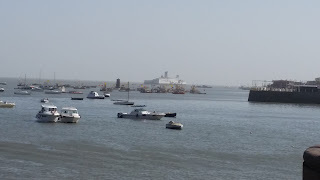 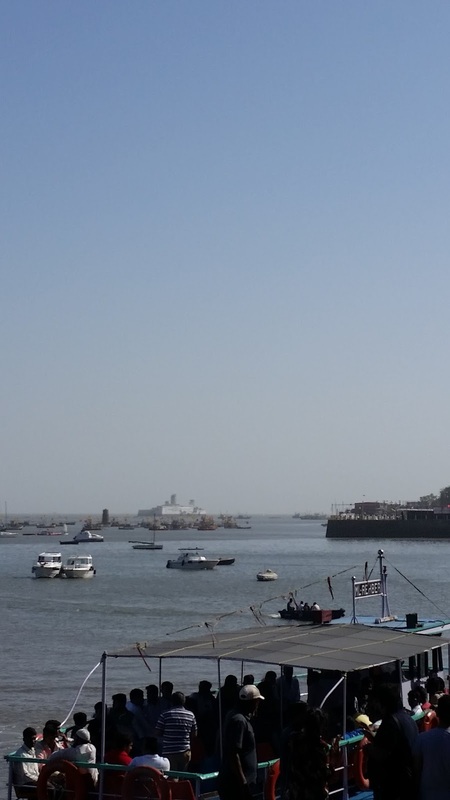 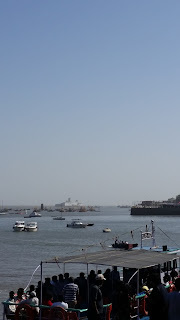 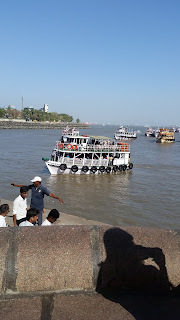 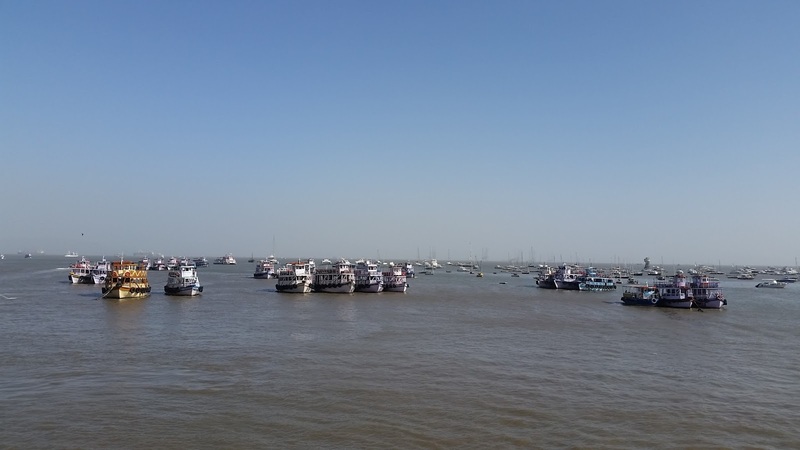 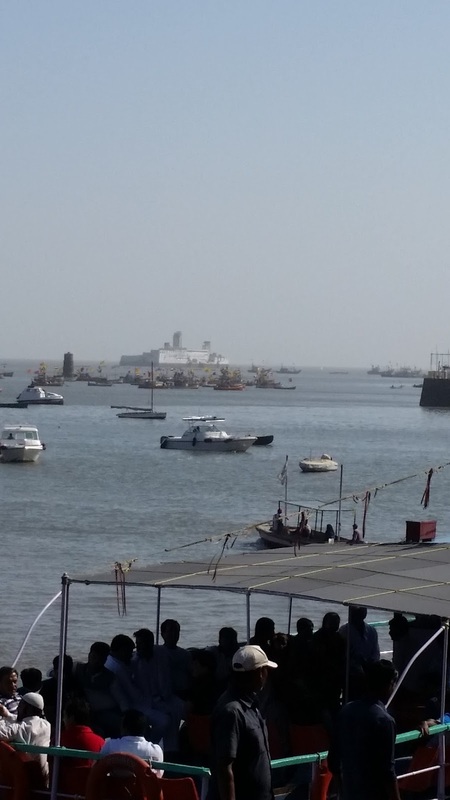 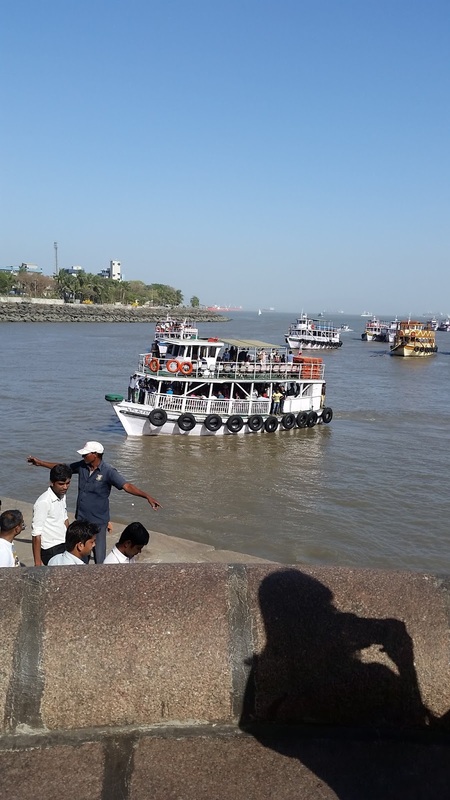 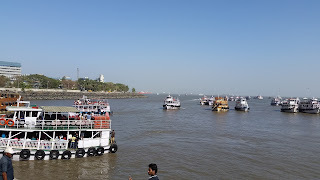 The back of the Gateway of India is a view of the bay. 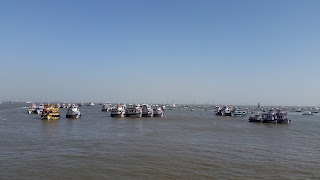 This is where boats to Elefanta Island leave from. 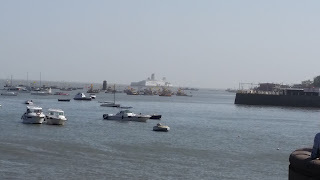 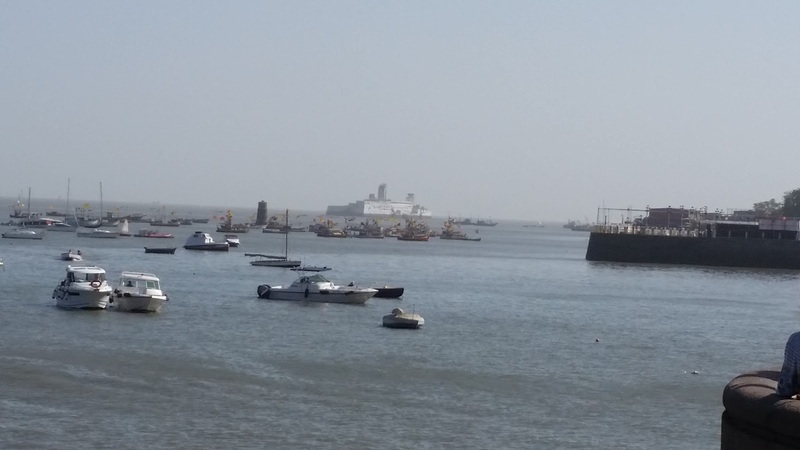 You can also see a lot of moored larger ships waiting for cargo or to load or unload oil.